Graduate to Merseyside: Recruit - Beat the competition and pick the best! So how can you access this graduate talent? The answer is through G2M! With a proven track record of matching graduate talent with businesses across Liverpool, Knowsley, Sefton, St. Helens, Wirral, Halton, Cheshire and beyond and furthermore we don’t charge any fees! Graduates from a variety of degree backgrounds including: Business, Marketing, Science, Engineering, IT, Social Sciences, Law, etc. 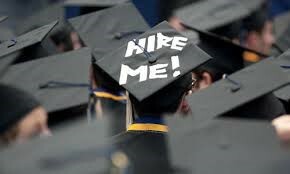 will be looking for a first rung on the graduate employment ladder from the beginning of June, so why not get a head start on recruiting the latest graduates before they come on to the market? Don’t forget many graduates find employment with businesses outside their subject area as they've acquired fantastic transferable skills and work experience along the way. For proof that graduates can make an impact in your company check out some of our Success Stories here. To find out more about recruiting a soon to be graduate contact G2M Team on 0151 794 5847 / 4647| gradopps@liverpool.ac.uk.